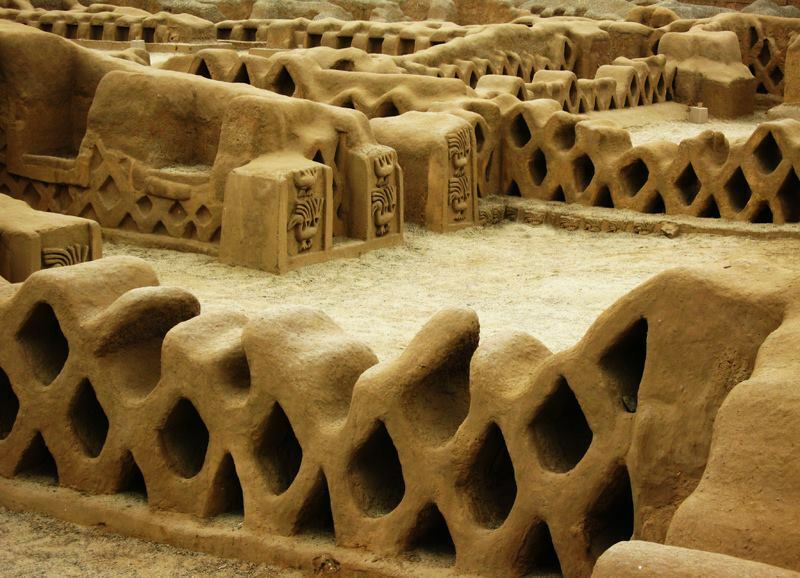 Chan Chan is an archaeological site and the largest Pre-Columbian city in South America, located in the Moche Valley, 5 kilometers from Trujillo, Peru. Its extension covers 20 square kilometers and had a dense urban center of 6 km². 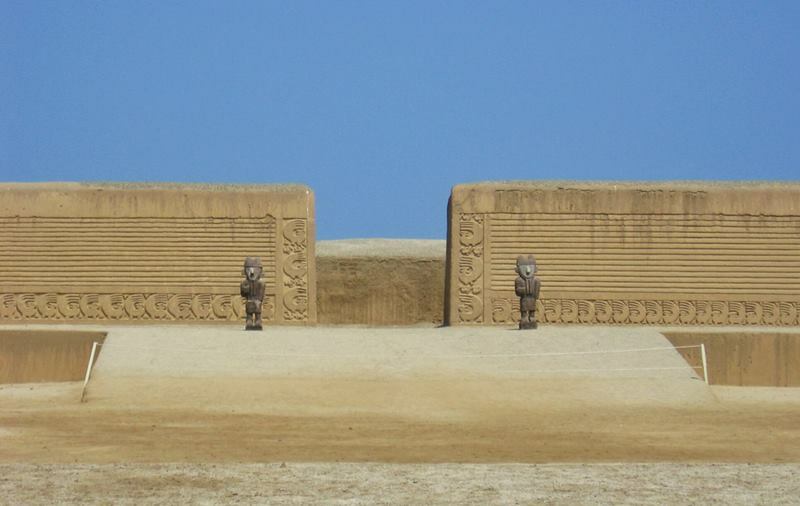 Chan Chan constructed by under the flag of Chimor the kingdom of the Chimú. 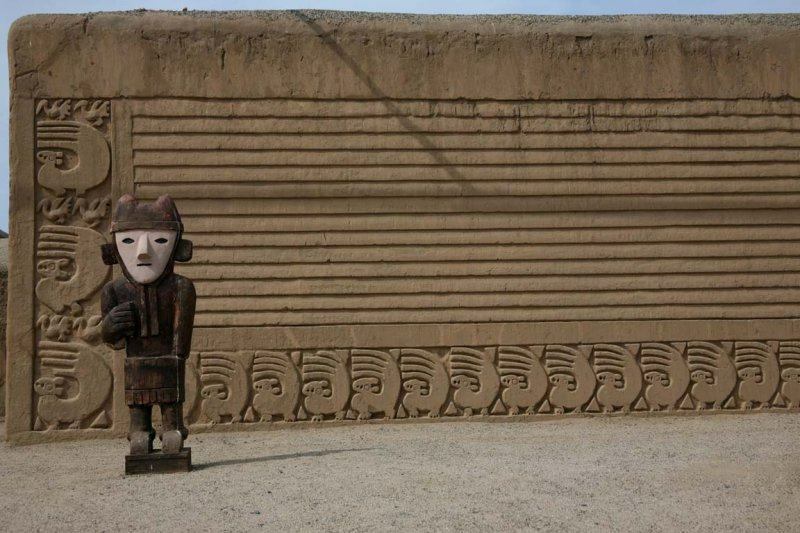 The Chimu Kingdom, with Chan Chan as its powerful capital, reached its apogee in the 15th century, not long before falling to the Incas. 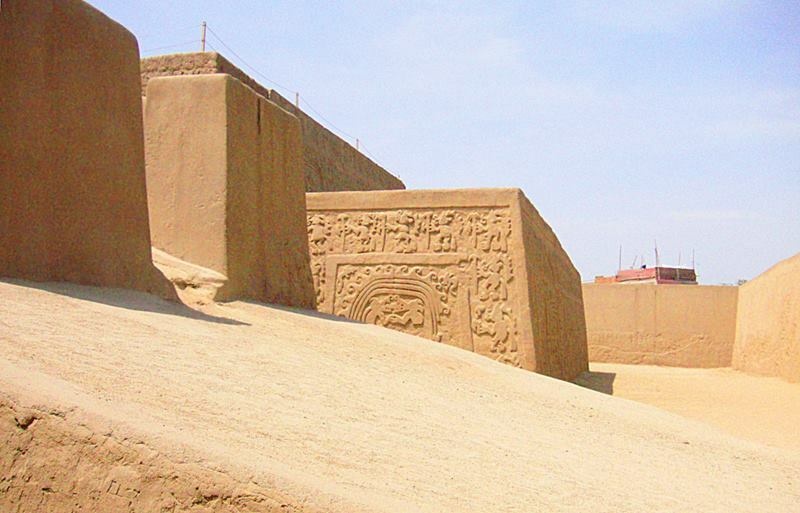 A late intermediate period civilization which grew out of the remnants of the Moche civilization. 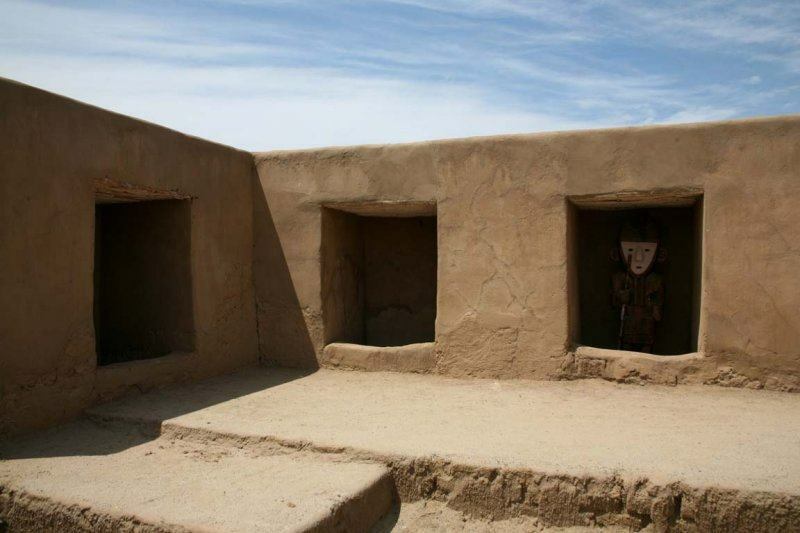 Chan Chan is the world largest adobe city and Chan means sun-sun. 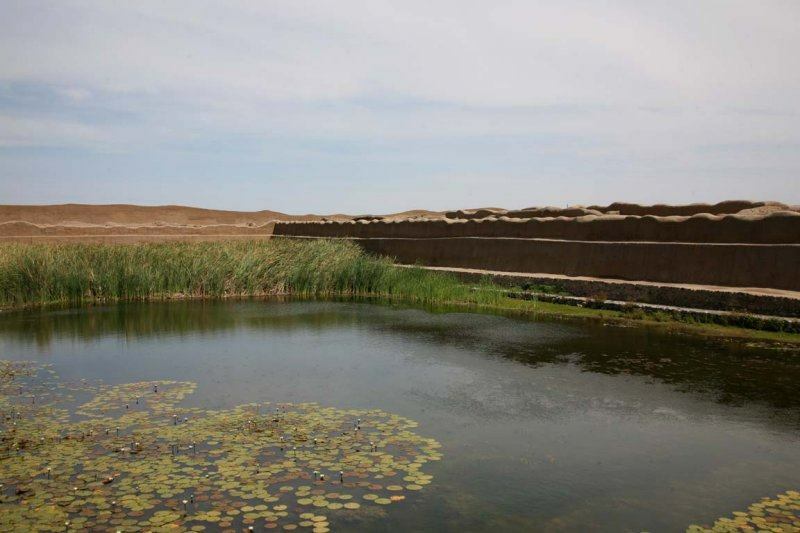 Chan Chan was declared World Heritage by UNESCO in 1986, when it was also added in the list of world heritage in danger due to the torrential rains that destroyed the citadel, earthquakes, or rise of the first layer of groundwater beneath the area. 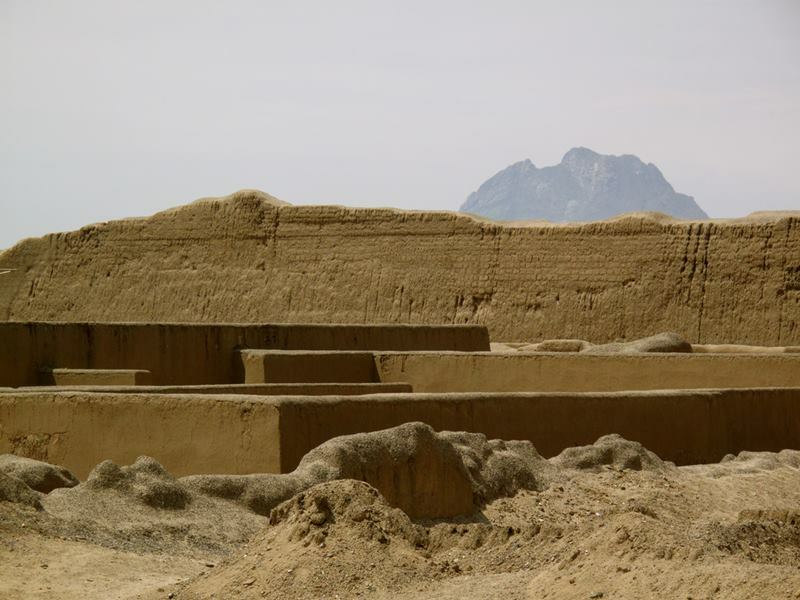 The central zone is formed by a set of 10 walled enclosures (called "citadels") and other solitary pyramids. This core set, covers an area of 6 square kilometers, approximately. The rest is made up of a multitude of small poorly maintained structures, sidewalks, canals, walls and cemeteries. An estimated 20 to 30 thousand inhabitants (Kent Day) and people throughout the territory Chimú at 500,000, according to John Rowe. According to Middendorf (1894) in Chan Chan lived 100,000 people. At the time of abandonment, the population would have been 5-10000 inhabitants (Kent Day). In its spaces, houses, warehouses, workshops, streets, walls and pyramidal temples. 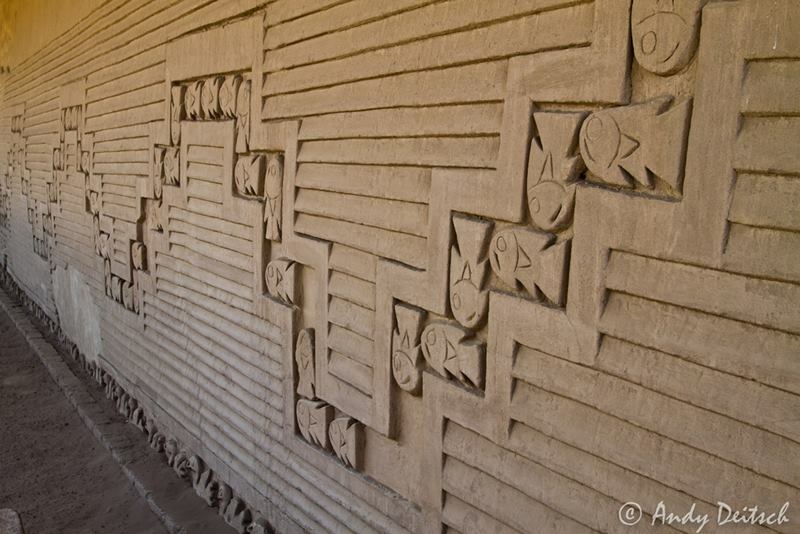 Its enormous walls are profusely decorated with geometric figures, stylized zoomorphic and mythological beings. These hydraulic works are still visible and are the wonder of modern engineering; cemeteries and other facilities that were perhaps markets, workshops and barracks. 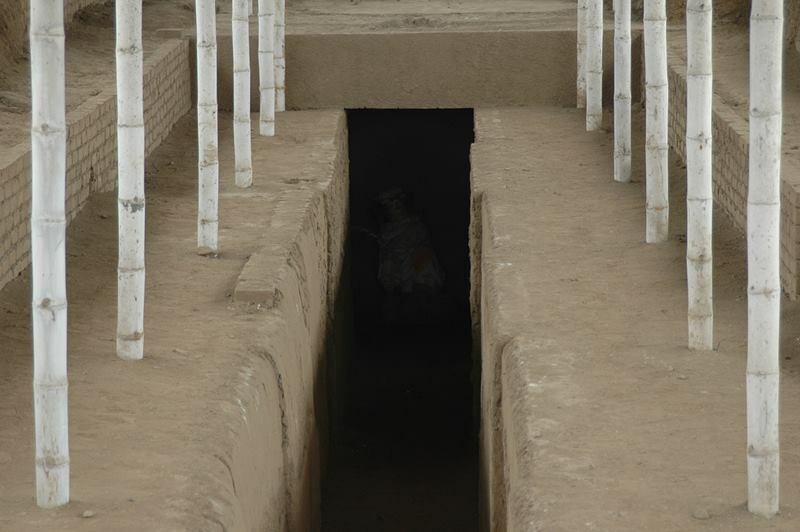 Chan Chan consisted of 10 large generally rectangular units. 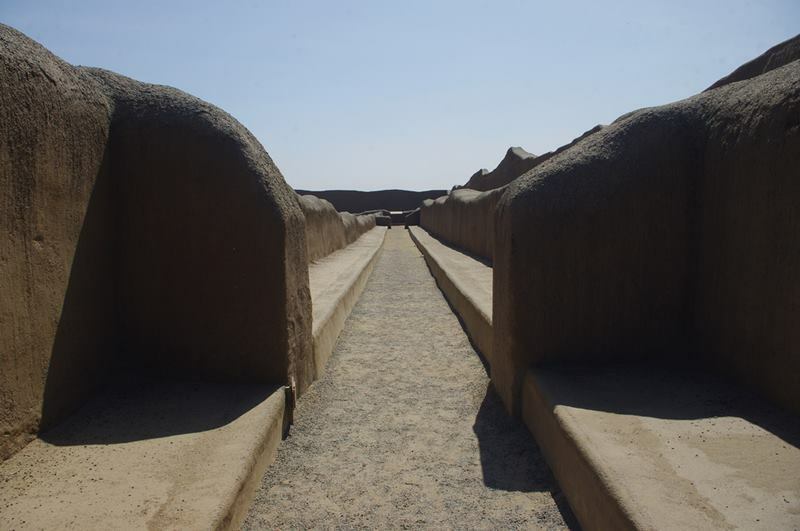 Each unit was surrounded by high walls taller than 9 meters, locking in them a emparillado streets, large and small houses, large pyramids, food and water tanks. 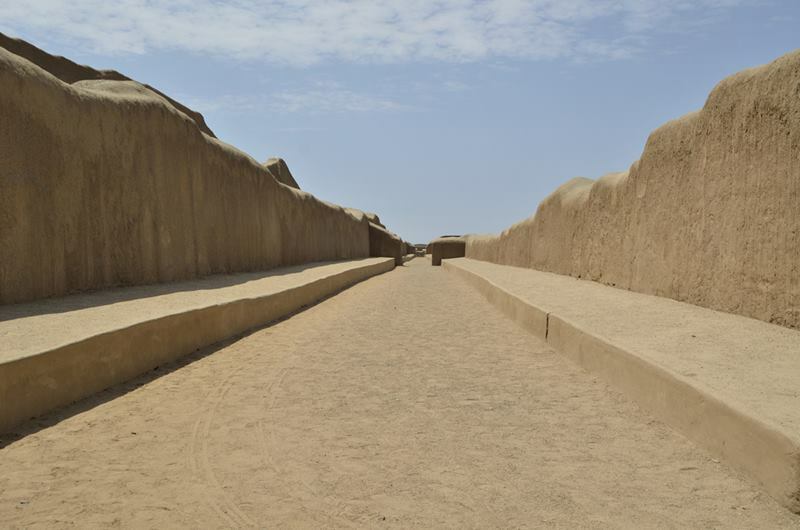 Today it is a vast labyrinth of massive walls, many of them carved with beauty, where you can still appreciate its well planned streets that intersect at right angles; sumptuous bringing water from considerable distances, such as the Summit that united the Chicama and Moche.